Apple recently revised some patent applications registered with the U.S. Patent and Trademark office, possibly revealing some upcoming new Siri features. The iPhone maker updated three trademark applications on June 13, plus one prior to those in May, Patently Apple reported yesterday. The applications describe new Siri features including hotel booking and education services. Apple already detailed part of what's new with Siri in iOS 7, so it may be that these features arrive in future updates, or not at all. Then again Apple hasn't described every new nook and cranny of Siri's consciousness and there could be many more new features awaiting us in the fall. 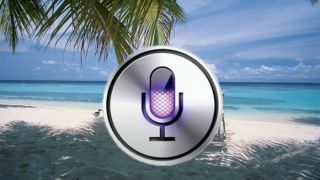 One trademark application details new Siri features like the ability for the virtual personal assistant to make hotel reservations and provide services similar to what travel agents and concierges do. That's where another Apple patent for an iWallet or even Apple's rumored iTravel services could come in, Patently Apple suggested. Siri could also learn more about wine, the patent suggests, to answer the questions of more cultured iPhone users. The patent from May describes Siri services that would provide information relating to education, including online instruction in fields ranging from elementary school to university-level subjects. Apple has staked its claim in education before, so a feature like this would certainly make sense. Now it just remains to be seen whether we see these features in iOS 7 this fall. Voice commands across multiple systems appear to be getting more robust, if rumors of a new Snapdragon 800-powered LG phone have any credence.